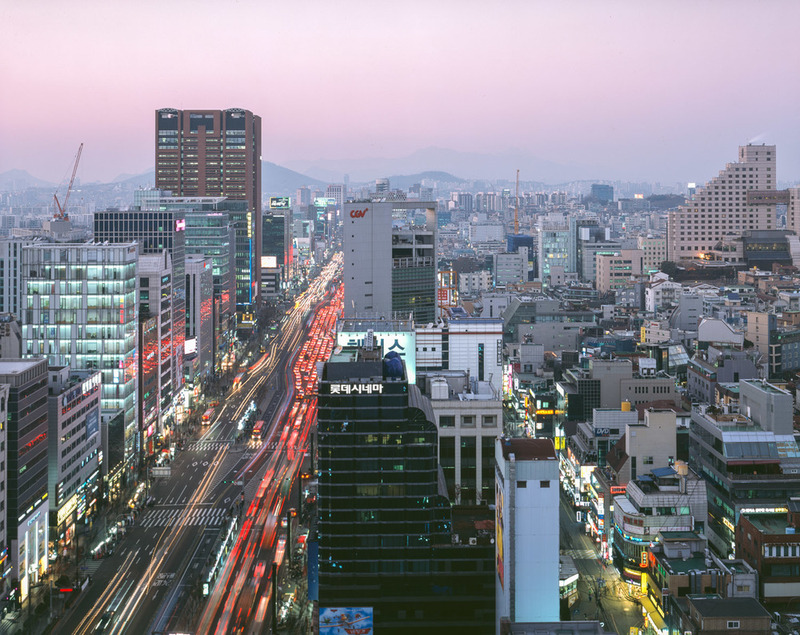 Seoul is connected & wired through the latest and fastest online technologies. It is also a new city, mostly reconstructed after the Korean War, its large avenues and modern buildings seems endless in the center and spreading through beautiful mountains surrounding the city. It gives this megapolis a unique energy. While modern & tall buildings can be found in various part of the city, they always surround smaller and more intimate districts made of small alleys , traditional houses and business. 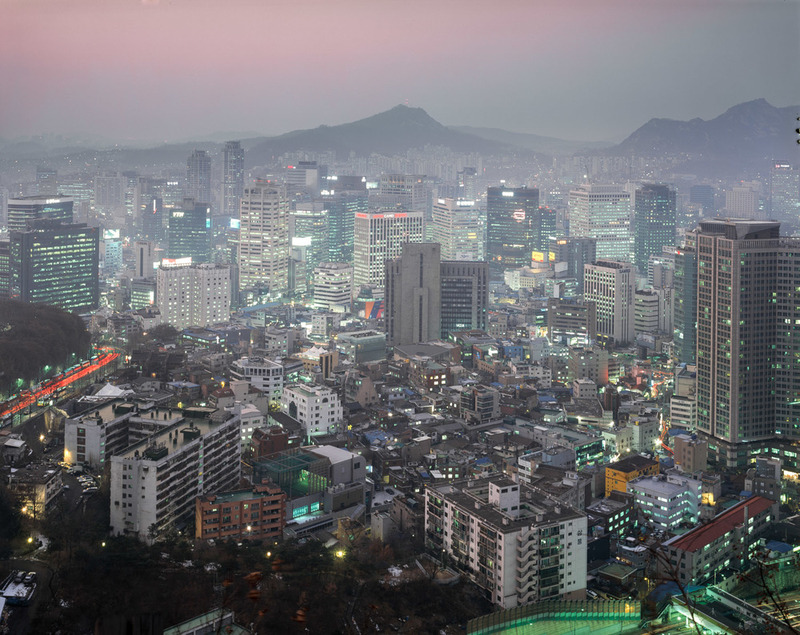 Christianity is also an important part of modern Korean culture. In any district, the neon litted crosses can be seen from afar. 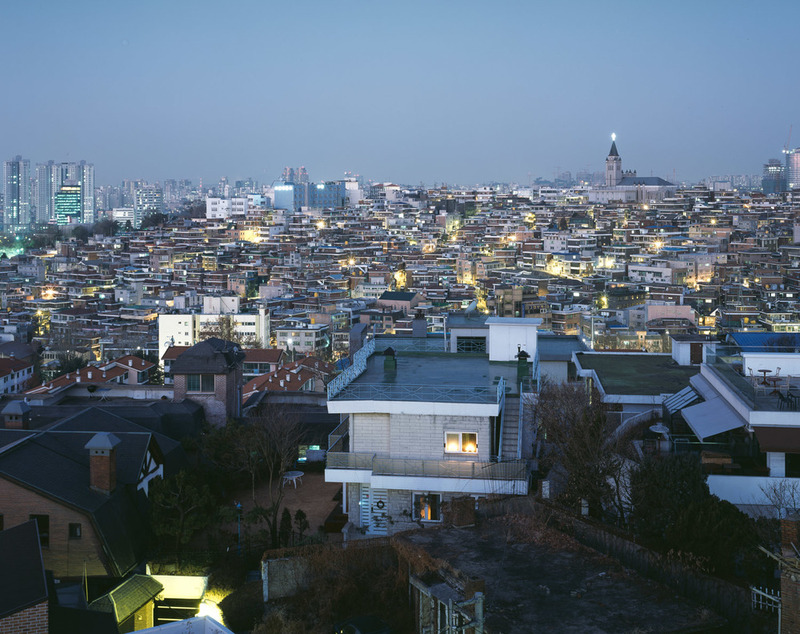 This urban study made with a traditional 4x5 large format wooden field camera in film aims to document the urban enviornement of the South Korean Capital.